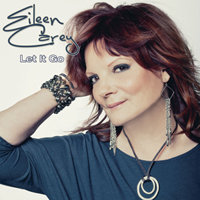 Singer/songwriter Eileen Carey has emerged over the last few years as a both an accomplished storyteller and effective, appealing stylist. Carey, who will be performing four times Friday and Saturday at the “Indiegrrl Women in the Arts Conference” at Hotel Preston (733 Briley Parkway), makes music that deftly combines country influences with pop arrangements. Her songs also offer distinct, prominent messages about personal empowerment and emotional fulfillment. Carey will perform at the “Rockin’ Moms” Showcase Friday at 9:50 p.m., and the “WomensRadio Guerilla Showcase” at 10:30 p.m. She’s also headlining at “Indiegrrl Showcase” Saturday at 6:10 p.m. and the “Nette Radio Showcase” at 10 p.m. For more information about the Indiegrrl Women in the Arts Conference check online at indiegrll.com or at (276) 224-0485. While Carey, who divides her time between Music City and Los Angeles, doesn’t necessarily consider her songs “political,” she does embrace the term “topical,” and feels that events such as the Indiegrrl conference provide vital career assistance and support for female performers in any genre. 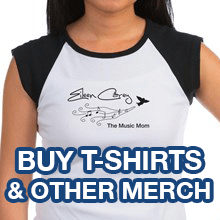 Carey has recently created a female networking site, themusicmom.com. Her single “That Was Her, This Is Now” won the 2009 Song of the Year honor in the fifth annual South Bay Music Awards. She also has another single, “Faith,” that’s a track on the newly released Rockin Moms, Vol. 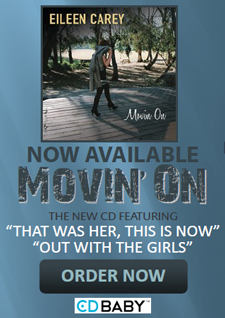 2 compilation and her current CD Movin’ On (MyRecordLabel.net) has already scored a regional hit with the tune “Out With The Girls.” It’s also now getting attention at both adult alternative and country stations. Some other top numbers from the disc include “Stand,” a vibrant piece about pursuing your goals no matter the obstacles and “Newsflash,” another composition that reflects Carey’s generally optimistic vision. But she can also do harder-edged lyric fare as well. The number “Faith” offers advice to anyone whose poor self-esteem keeps them in a bad relationship, while “He’s Not Mr. Right, He’s Mr. Right Now’ espouses enjoying the moment without worrying about the future. Although she’s steadily gaining more fans and getting a larger presence in Nashville, and also has a local management and booking team fueling her efforts, Carey says at this time she enjoys splitting time between Music City and the West Coast, and doesn’t anticipate relocating.